Andrew is a barrister practising in several fields of civil law, with a special focus on trusts and probate, commercial/company disputes, competition law, international law, and public law matters. He graduated from the University of Edinburgh with first class honours before proceeding to the University of Cambridge (Magdalene and St. John’s College) to complete a Masters and Ph.D. in Renaissance Literature. Andrew has acted as sole counsel as well as leading and led junior in several complex, high-value and vigorously contested claims, often with an international element. Two of the cases on which he has acted have been selected as ‘stand-out cases’ in Trust Quarterly Review of March 2015. Recent notable instructions include representing Madam Kan Lai Kwan as sole counsel during a nine-day trial dealing with complex trust matters and contested expert company valuation evidence, and thereafter as lead counsel in her appeals to the Court of Appeal and Court of Final Appeal (a HK$832.5 million claim). Andrew has published in major international law journals, including Trusts & Trustees (the leading international journal on trust law and practice) and Trust Quarterly Review. He has recently been commissioned by LexisNexis to author the ‘trust disputes’ and ‘trusts in divorce’ sections of the online resource, Lexis Practical Guidance (Hong Kong), as well as the trust disputes court forms. 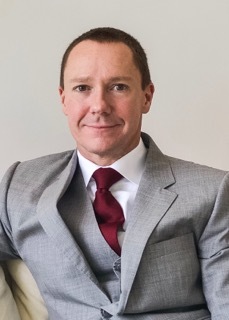 Andrew is a full member of the Society of Trust and Estate Practitioners (STEP) as well as a fellow of the Hong Kong Institute of Arbitrators (FHKIArb). He is also a member of the Hong Kong Bar Association Committee on Competition Law.